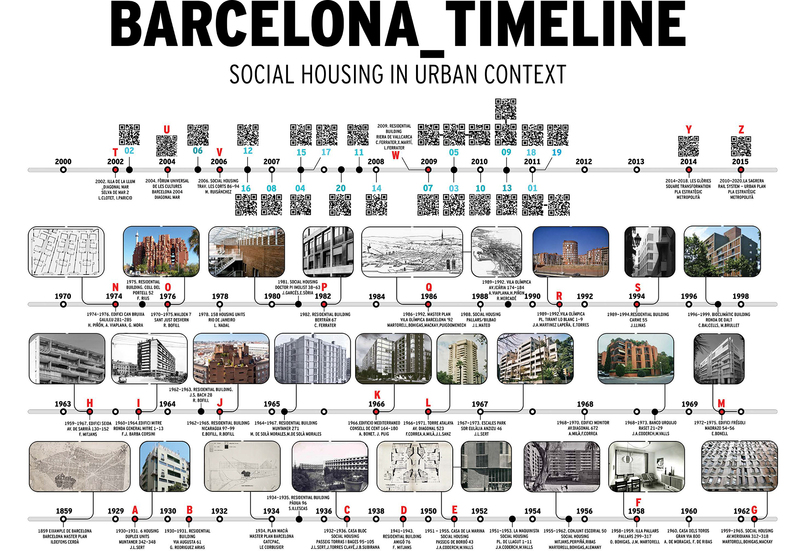 _Export BARCELONA ‘Social Housing in Urban Context’ includes the publication of a catalogue edited by dpr-barcelona that contains the information about the twenty selected works, incorporates Augmented Reality and contextualizes the selected projects in a historical timeline of reference works. The catalogue is also intended to be the most up to date compendium of recent and prominent Catalan social architecture. The catalogue you can find below includes texts by Ferran Mascarell, Conseller de Cultura de la Generalitat de Catalunya, Antonio Hodgers, Conseiller d’État de Genève, Vicente Guallart, chief architect of the Barcelona City Council and Xavier Bustos and Nicola Regusci, the project curators.